While shopping with my daughter to find the perfect Homecoming dress this fall I stumbled upon a cute black outfit on the rack at Lord & Taylor. This was our fourth department store of the day and I hoped this find would end our search. I excitedly pulled the garment free from a tangle of other dresses and looked inside for the price tag. My hopes of finding the perfect dress were dashed as soon as I saw the Ivanka Trump label. There was no way I would buy anything associated with the Trump name. It’s amazing the feelings generated by a name or brand and your personal brand is no different. What people think and feel about you when they hear your name is important. Despite the negative feelings some have toward Donald Trump, he did successful leverage and shape his personal brand to become the next President of the United States. Although this wasn’t the only reason he was elected…fake news, Russia’s interference, Dems lack of messaging to the working class, hatred towards Clinton (take your pick)…, there are some branding lessons worth noting from Donald Trump’s presidential evolution. You might not have known that prominent social worker and U.S. Senator Barbara Mikulski was also a novelist who penned two murder mysteries, Capitol Offense and Capitol Venture, in the mid-1990s. Senator Mikulski is most well known as a tough politician, but discovering this aspect of her interests reveals there’s much more to her than the obvious. You, too, have special skills that you can integrate into your personal brand. Your activities outside of work are a big part of who you are, and showing another side of yourself can create a more holistic and authentic personal brand. 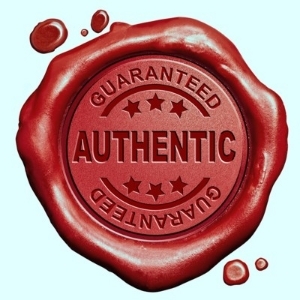 I have written about authenticity before. Being yourself is just as important as discovering your strengths and challenges and what expertise you bring to the table to solve a problem for your audience. Your hobbies are an extension of what makes you you, and this helps you to connect to people on a personal level. So, if you sing in the church choir and are proud of this accomplishment, share it. But do exercise judgment, as with anything else, to make sure the audience you are revealing yourself to will appreciate what you have to offer. Read more about things to keep in mind. As you recover from your holiday break, you may be thinking spring can’t come soon enough. If you’re in the home stretch of your social work degree program, catch spring fever early by prepping your brand for graduation. Although finals are still on the horizon, before you know it you will have an awesome new degree and be searching for a job. If you’re new to the work world or a seasoned professional returning to your career (or maybe you worked through grad school) after graduation, here are some tips for putting your best foot forward this spring.